Here’s a small side salad plate I’ve made this week. 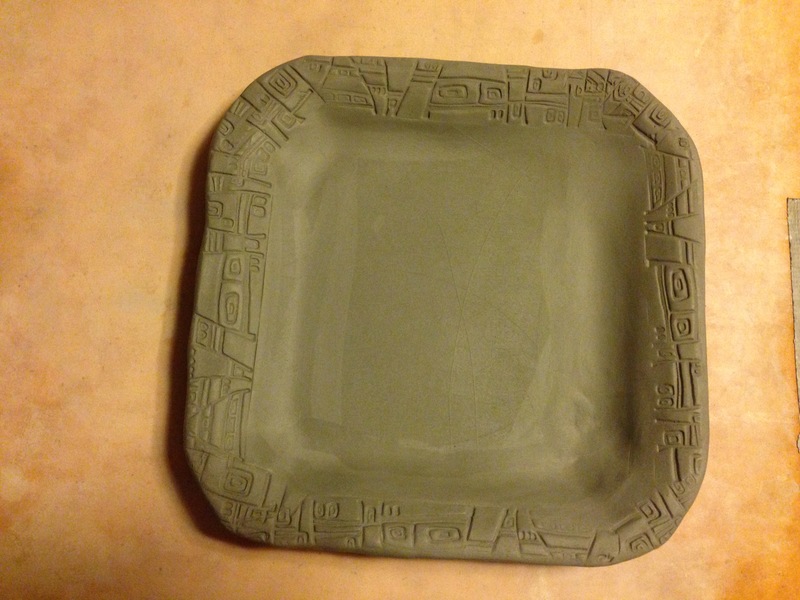 I found plate templates at the party store and used the slab roller at 1/2″. I smoothed the sides and pressed my design into the edges. 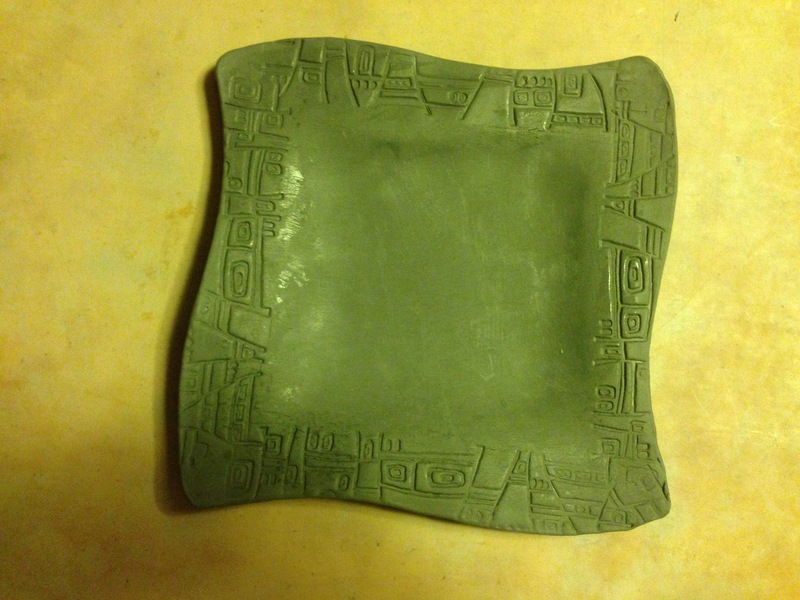 Looking forward to glazing these plates. I am also serving up some hummus and chips with this little platter to go with the tumblers I’ve made this week….more to come soon. Stay tuned…….